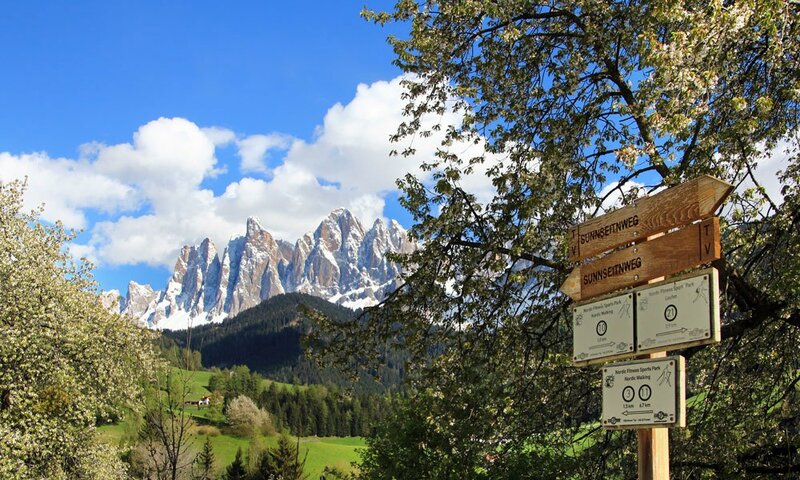 The Villnöss valley belongs to the scenically most attractive regions of the Dolomites. This unspoiled valley branches off from the Eisack valley and the over 3.000 meter-high Geisler peaks distinguish the landscape of this area. 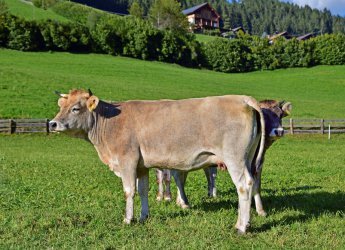 In this charming region the Proihof farm lays on a sunny slope high over the valley in the middle of green meadows. 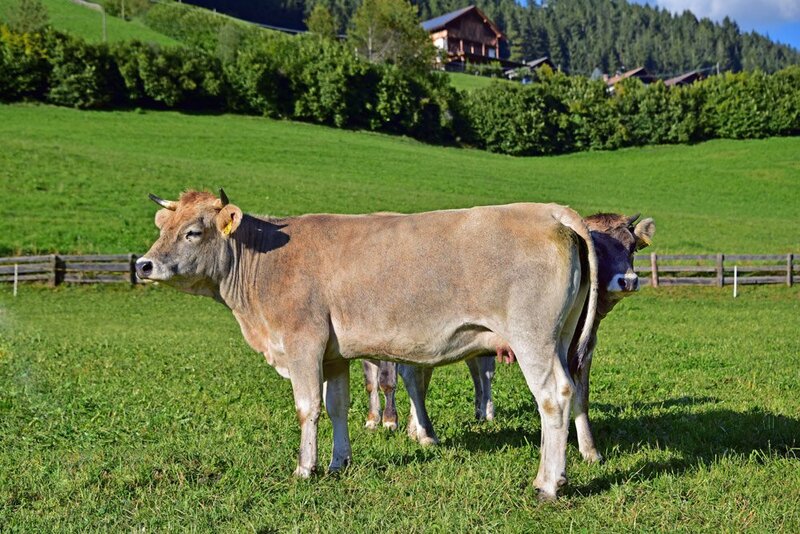 In your farm holiday in Villnöss you have the opportunity to fill up relax and energy, discovering nearby also the varied way of life of the rural surroundings. You have the choice: in the guest house of the Proihof farm you can choose among cosy guests rooms or comfortably furnished apartments as holiday accommodation. A lot of timber in the internal furnishing gives a cosy atmosphere to all accommodations. Guest rooms and apartments have a bathroom with shower, WC, hair dryer and satellite-TV. The fully equipped kitchen in the apartments includes dishes, electronic devices and cooking utensils. 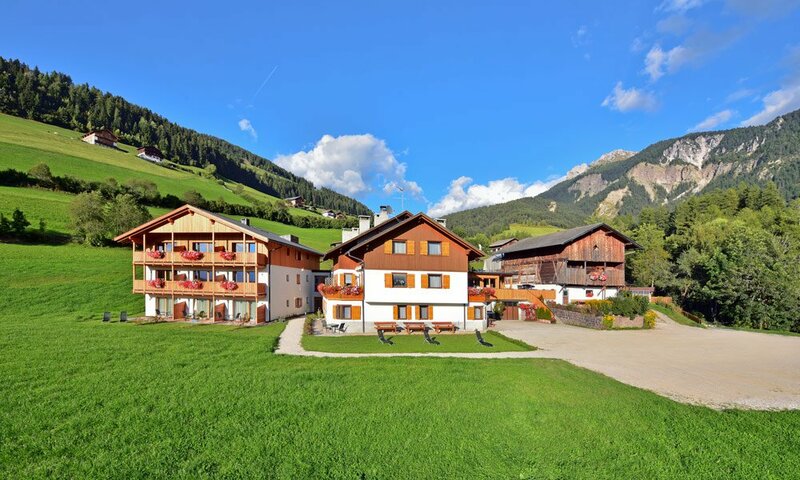 For your farm holiday in Villnöss you can book guest rooms with breakfast. 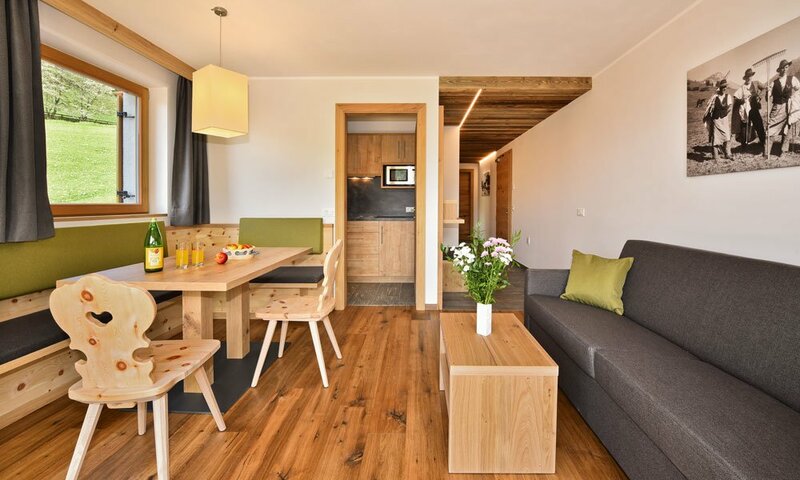 During your stay at the Proihof farm you will have a rustically equipped living area at your disposal. 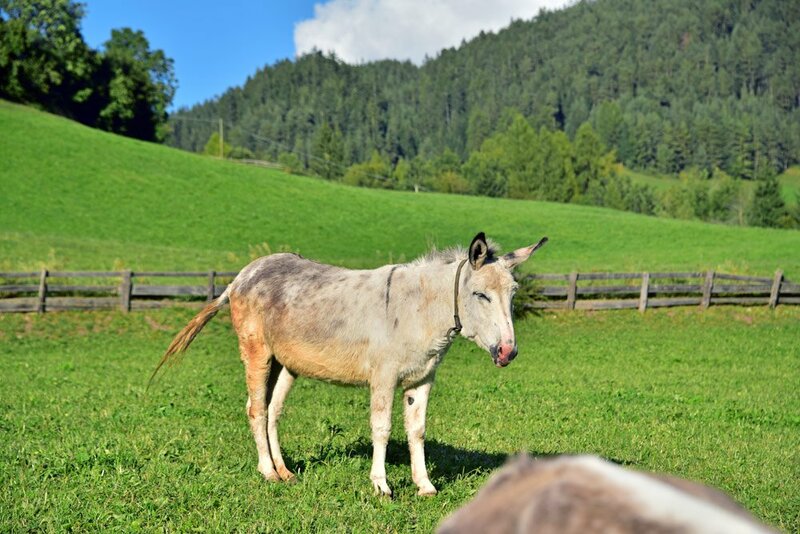 At the Proihof farm in St. Magdalena’s district you have the chance to discover the rural life in all its facets. Cows, horses, donkeys, chickens, rabbits and cats live at the farm and if you want, you can also help your host family during the daily work there. 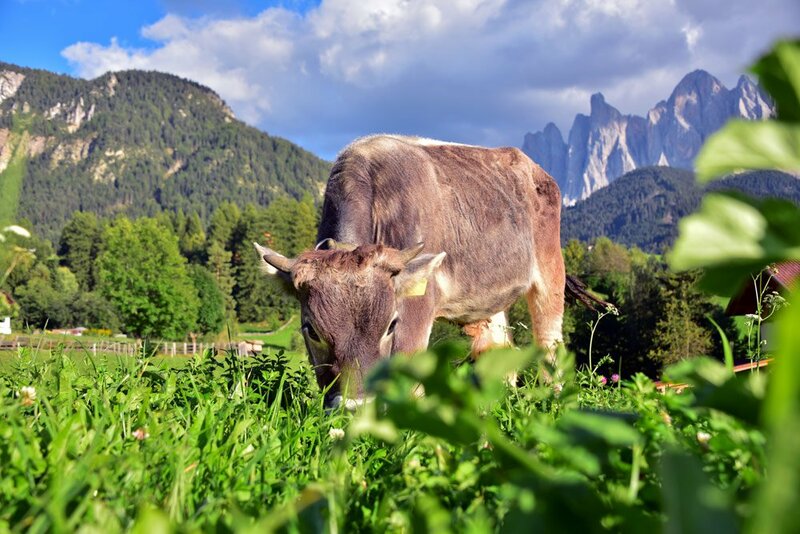 The Proihof farm has got its own alpine pasture, which lays in the middle of the Puez-Geisler Nature Park. Enjoy the sublime quietness of the alpine world on the meadows dotted with flowers and the taste of the South Tyrolean delicacies during a picnic in front of an old alpine hut. 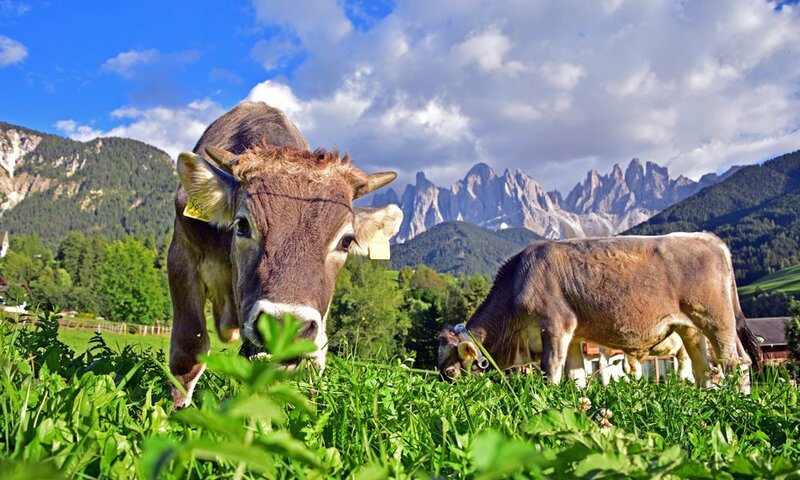 In the unspoiled surroundings you will experience the great charm of your farm holiday in the Dolomites. Dreamy hiking routes and challenging climbing paths start very close to the Proihof farm. In front of the fantastic mountain panoramic view of the Geisler group trails lead along fragrant, green meadows and rocky scree. Quaint mountain huts and romantic mountain inns offer an invitation for a relaxing break. 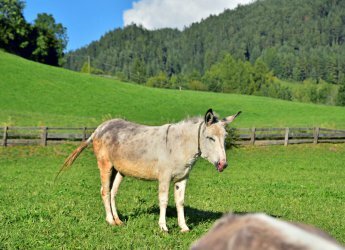 Popular routes in the area of Proihof farm are the Herrnsteig and the Günther Messner Mountain climbing path, the Peiterkofel and the Adolf Munkel path to Brogles Alm and many more. Stunning views await you on the way to the Puez hut inside the Nature Park. 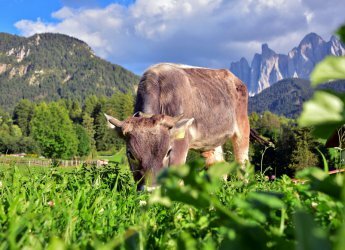 Enjoy a carefree farm holiday in the Dolomites in front of an imposing alpine panorama.